Preston North End are hopeful of making further headway in the transfer market this week as their summer strengthening programme gathers pace. Having got keeper Jamie Jones and defender Calum Woods in the bag, their attention had moved higher up the pitch. The Lilywhites want to bring in two frontmen to sharpen up a strike force in which only Joe Garner shone in terms of finding the net last season. It is likely that the player they are looking to land in the coming days is one of those forward targets. With most squads returning to pre-season training in less than three weeks, the transfer market tends to start gathering pace in mid-June. In an ideal world, North End want their incoming business done by the time the players report back on July 3. As well as a couple of new faces up front, a winger is also on the wanted list – although the strikers are priority. Someone who has been linked with the winger vacancy is Keith Treacy, who left North End for Burnley three years ago in a big-money move. But it is understood that PNE are not chasing the Irishman, nor are they interested in another former player, Sean St Ledger. Centre-half St Ledger has frequently been linked with a return to Preston and was freed by Leicester last month. Talks are continuing over returns for Neil Kilkenny and Paul Gallagher. Kilkenny has been offered a new contract and talks with the midfielder’s representative recently are believed to have been positive. 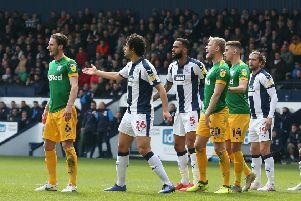 As for Gallagher coming back on loan from Leicester, that hinges on PNE and the Foxes reaching an agreement over what slice of his wages are paid at the Deepdale end. In order to free up room in the squad and importantly stay in budget, there could be some outgoing business done soon. The release of eight players at the end of their contracts has cleared the decks to some extent. But there are others in the squad who will struggle to get a look in next season who could be moving on. Meanwhile, PNE defender Bailey Wright was an unused substitute in Australia’s 3-1 defeat to Chile on Friday night. At one stage it did look like Wright was going to win his first Socceroos cap when he was sent to warm up after right-back Ivan Franjic was injured. But Ryan McGowan got the nod to join the action instead when Franjic limped off. Australia are back in action on Wednesday when they face a daunting meeting with Holland. The Dutch thrashed World Cup holders Spain 5-1 in their opening game.